We already know that different types of dietary fat, such as saturated, trans, and omega-3 fats, can affect our risk of developing heart disease and obesity. But what about the effect of simply eating solid versus liquid fat? The physical state of fat is rarely considered in nutritional studies, despite its potential impact on digestion in the gastrointestinal tract. 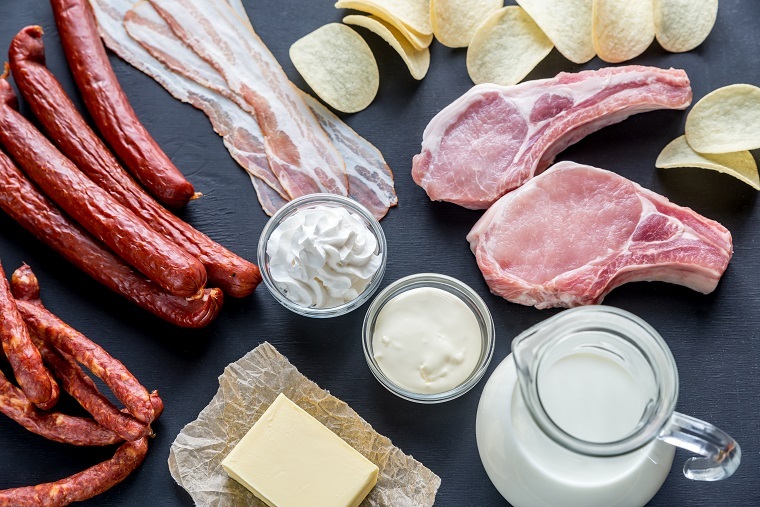 Now, new research from the Department of Human Health and Nutritional Sciences has revealed that solid fat is digested more slowly, which in turn could influence the timing of fat circulating in the blood and the risk of chronic disease. Wright and MSc student Sally Huynh took a saturated fat known as tripalmitin and prepared it into small globules dispersed in water called “emulsions”. One emulsion contained globules of tripalmitin in solid form, while the other contained globules of the same lipid in liquid form. The team used a novel approach called undercooling to prepare the tripalmitin into a liquid form. Once the emulsions were prepared, the trick was to maintain them at a temperature which kept the crystallized fat droplets in a solid state, and the liquid fat droplets in a liquid state. Equally challenging was the need to avoid any agitation that could cause the liquid droplets to crystallize into solids. This meant that Huynh had to use a Styrofoam box to carefully transport the emulsion samples anywhere she went – because of this, she became known as the “pizza delivery girl”. The team then used a static model of the human gastrointestinal tract to digest the samples, exposing them to digestive fluids similar to what the stomach and intestine produce. Over a two-hour period, they measured the amount of fatty acids released from the emulsions, which allowed them to estimate of the extent of fat digestion. In the end, the solid fat droplets were digested about half as much as the liquid droplets – despite the fact that both types of droplets were composed of identical fatty acids. According to Wright, the findings could lead to strategies to optimize fat digestion to reduce or enhance fatty acid absorption in the human body. They may also help to clarify some of the nuances of dietary lipid absorption. She and her team are already set to bring the research to the next level. PhD student Surangi Thilakarathna is launching a human trial in the Human Nutraceutical Research Unit to validate the study’s findings in humans. The human trial has received ethics approval and is looking for participants. “People have paid lots of attention to which fatty acids may be healthier, but it is also important to clarify how the structural and physical properties of fats influence their biological fate, and ultimately, our health.” says Wright. Read the full article in the Journal of the American Oil Chemists’ Society.